Below is Mr. Farance's second reply to Mr. Shane. Mr. Farance has excerpted portions of Mr. Shane's response in blue and replied in red. Attached, please find several photos that quickly dispense with your arguments. 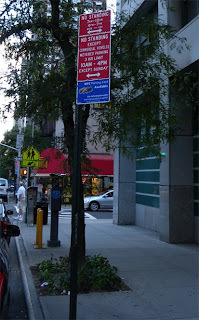 Again, please let us know when the prior street parking arrangements have been returned. First, is photo N1615 ("School Has Own 10 Parking Spots") that shows that the school's needs have already been addressed. 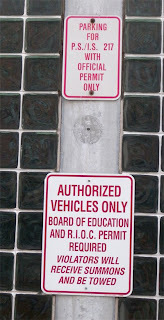 Second, is photo N1614 ("School Sign Say RIOC Permit Required") that shows the signage next to PS/IS 217: RIOC already issues permits to school staff, so RIOC is *already has knowledge* of the spots reserved for PS/IS 217. Third, is photo N1634 ("RIOC/PSD Already Patrols School Parking Lot") that shows a PSD vehicle on patrol. Not only do you know about it, you patrol it, too. 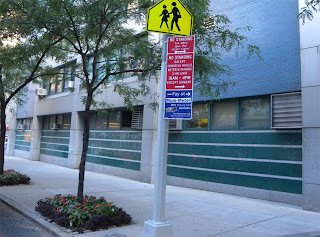 Fourth, are photos surrounding PS 85 at East 57 St and 2 Avenue (two blocks from the tram). 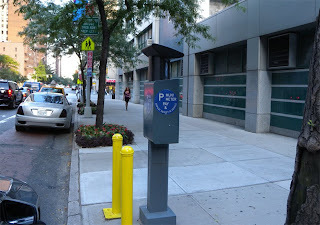 In photos N1646 ("Muni Meter in Front of School"), N1647 ("Parking Restrictions on North Side", i.e., E 57 St), N1649 ("Parking Restrictions on West Side", i.e. 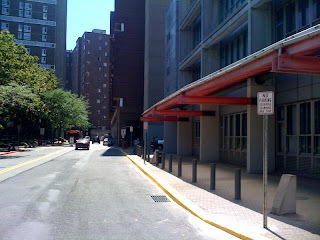 2 Ave), and N1651 ("Parking Restrictions on South Side"), you see that muni-meter parking is available in the complete perimeter of PS 58 -- a Manhattan school. 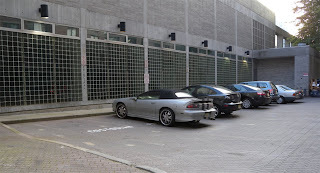 Fifth, even if you pretended you wanted to do it like some schools (e.g., reserved parking because the school has no internal parking), RIOC has botched this again. When done correctly, the restrictions are "No Parking" (which does permit drop-off) and only during 7AM-4PM on School Days. 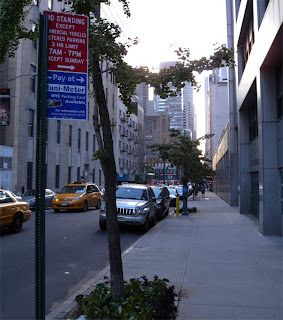 RIOC does it incorrectly: signs are No Parking, No Standing, No Stopping (which does *not* permit drop-off) and the parking restriction is for 24 hours a day. You mention that RIOC is here to serve the community, but you do it poorly: you don't know your own operations and your operations aren't done right ... the residents provide the expertise and knowledge, yet you're the one who is paid. 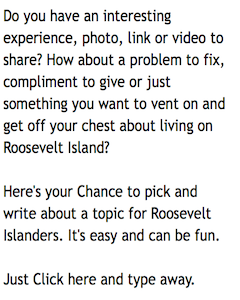 Six weeks ago you and Rosina Abramson chided me for making my complaints public. At that point, I said that a public discussion seems to be the most effective way to get RIOC to take action. So I tried your "private" approach (just like many other residents) and it didn't work ... as the E-mail trails show. Multiple times I tried contacting you privately and I've strongly defended RIOC to other well-known/loud residents where RIOC has had good successes (I'm happy to share with those on the CC line my portions of the dialogue to show y'all how I've tried with RIOC). But it every case, you've ignored E-mails from me and other residents, you've ignored the requests, and only when I had to threaten "then I need to complain publicly" did you respond. In fact, I've told you that *RIOC Board Directors* have suggested that I make my complaints public. So it's not that I prefer public complaints (I really could my valuable time do many other things), it's back to the same point: public complaints are the most effective way with RIOC. You've just proven that to everyone (again): without the public complaining, the red bus would go back to its unreliable schedule, RIOC would still be tinkering with unsafe/faulty lighting in Motorgate, and residents would-be/are suffering from less on-street parking. So I do myself and my constituents a favor by adapting to a style that gets RIOC to respond the most effectively. It's really about how RIOC chooses to respond to the community. Taking away 22% of the street parking with no input, no review, and no notice to the community ... and putting forward a set of faulty arguments to defend RIOC's actions ... that's what the community sees. 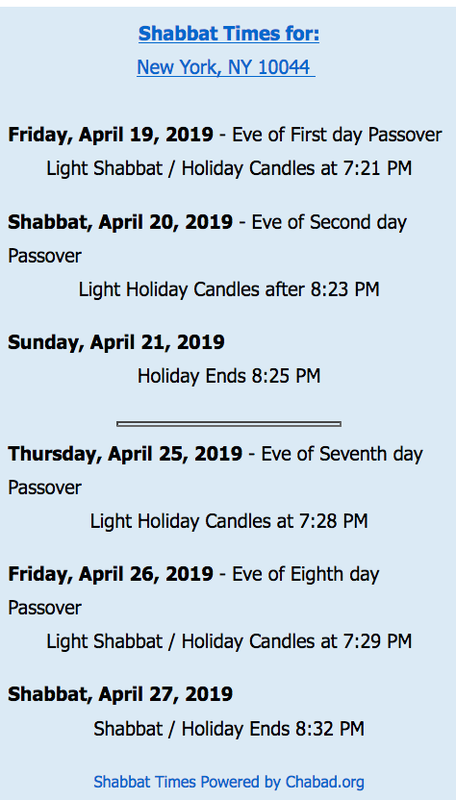 All images below are from Mr. Farance. UPDATE - 7/29 - The parking spaces have been returned. If Farance keep talking like this I hope the RIOC is not going to move a finger. I may not like the way RIOC does certain things but I sure like how they subtly show Farance the middle finger. RIOC, please ignore that guy. I agree that the guy is a confrontational jerk, but try to take the message behind how he poorly communicates it. That's what RIOC should look for. Someone else will soon be the President of RIRA and then we'll all have to find something else to talk about.